Vera&John Casino may not be a familiar name to many online gamblers but this is no excuse for not checking in. When you first join a new casino site, you aren’t particular about what you’ll find. However, at Vera&John, things are straightforward. You will be able to play more than 1,200 games from giant software providers including Microgaming, Betsoft, Leander, and Evolution Gaming. There is a very appealing welcome bonus package of a 200% bonus up to $100 on the first deposit of $10 or more. The wagering requirements are player-friendly: 40 times the bonus amount. When it comes to customer support, VJ Casino stands out from its competitors. The customer support agents are friendly and skilled in all topics related to online casino gambling. It’s no secret that Vera&John Casino offers some of the best bonus offers in the industry. Other than the welcome perk, you will enjoy deposit bonuses, free spins, a payment option bonus, and more. All information regarding gifts is clearly outlined, and the rules are easy to understand. Deposit a minimum of $10 and get a 200% bonus of up to $100. The player’s deposit amount and the reward are stored in separate accounts for easy monitoring. One good thing about VJ Casino is that the 40X wagering requirements does not apply to your real money games but to the bonus amount. When you play with bonus money, every bet between $1 and $5 will count towards the play-through. The welcome bonus offer at V&J Casino is unparalleled. Moreover, the bonus will be deposited automatically when you make the first deposit. The collection of casino games at Vera&John is vast, including table and card games, video slots, and live casino games. Accessing the games is easy; you can search for your favourite game based on the variation or software provider. Because Vera&John is an instant play platform, you can enjoy your games using standard browsers, without downloading software. Slots lovers will find 146 immersive brands from the industry’s giant providers, Microgaming and NetEnt. Some of the popular titles include Colossus Fracpot, Agents Valkyrie, Exotic Cats, Rainbow, Wild Scarabs, Amazing Aztecs, Lost Relics, Witchcraft Academy, Twin Spin Deluxe, Jumanji, Swipe & Roll, and many more. Table game enthusiasts will find variations from providers like Betsoft, IGT, NetEnt, Play n Go, Red Tiger, and Yggdrasil Gaming. Among them are Sonya Blackjack, Red Tiger’s Roulette, Deal or No Deal Blackjack, Super Wheel, Pai Gow Poker, Mini-Baccarat, Ridem Poker, Triple Edge Poker, and many others. Although the live casino has a limited number of games, you will find them thrilling and worth your time. The four main live dealer games at Vera&John Casino are Live Sic Bo, Live Blackjack, Live Roulette, and Live Squeeze. Vera&John Casino is full of surprises! Players on the hunt for big wins will find plenty to keep them occupied. There are 56 jackpot titles, including video slots and poker games. Some of the highest paying brands are Joker Millions, Empire Fortune, Mega Moolah Isis, Hall of Gods, Golden Goddess, and Siberian Storm Mega Jackpot. With the availability of smartphones and affordable internet services, gamblers can access their favourite casino games on the go. Vera&John Casino offers more than 750 mobile games on Apple and Android devices. 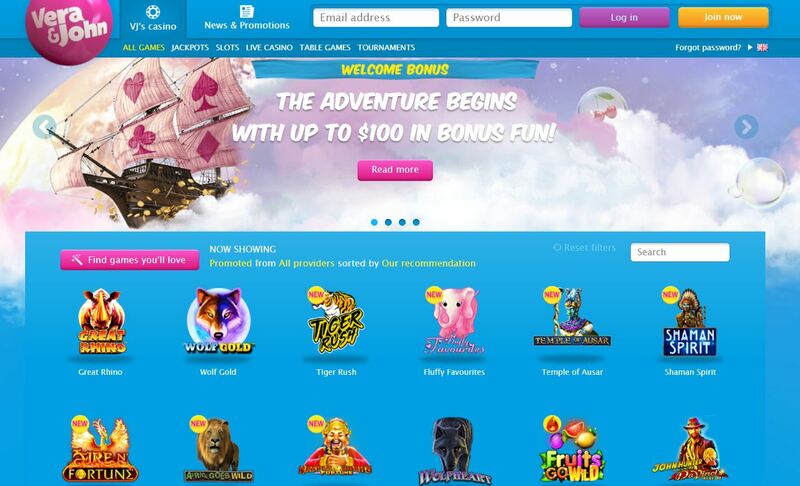 Popular slots like Starburst and Book of Dead have been optimised using cutting-edge technology to ensure that they run smoothly on tablets and smartphones. In addition, you can participate in different tournaments, competitions, and other offers. You don’t have to worry about security, as the mobile version uses a secure login system via Touch ID and Face ID. Players can make their deposits and withdrawals via standard credit cards, debit cards, and e-wallets. Vera&John Casino’s generosity doesn’t stop at the welcome bonus. It offers various deposit bonuses through newsletters and on the homepage. These bonuses have varying percentages ranging between 50% and 100%. The various rewards include the Bonus Cup, Spin Credits, Free Spins, Super Spins, Thrill Spins, Hit Spins, Trigger Spins, Pick Spins, and Top Spins. The purpose of these promotional offers is to boost your bankroll as you try out different games. An online casino’s success depends on its customer support. Vera&John Casino has a well-established customer support system that allows you to reach agents via email, telephone, or live chat. The agents are highly skilled, friendly, and committed to offering exclusive service. The site has a FAQ section that discusses, in detail, the most common questions about Vera&John Casino. The site also supports different languages, such as English, Norwegian, Finnish, Swedish, Dutch, and Spanish. Playing at an online casino with a wide selection of locally available banking options is every player’s dream. At V&J Casino, you will find an assortment of safe and secure payment options. All transactions and player information are secured with 128-bit Secure Socket Layer (SSL) encryption to ensure protection from hackers and fraudsters. The casino accepts universal credit and debit cards like Visa and Mastercard. The minimum accepted deposit is $10, while the maximum is $1,000, with a transaction fee of 2.25%. The casino also supports e-wallets like Copay, Skrill, and Neteller with no transaction charges. In addition, Trustly is an online banking option that allows for instant transactions with no minimum and maximum deposit or withdrawal limitations. 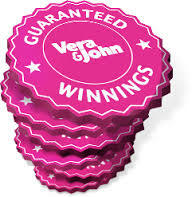 Playing at Vera&John Casino is fun because of the full game portfolio and the lucrative bonuses. Both the mobile and online platforms are easy to use, and all the necessary information is only a click away. This casino is suitable for both low-stakes and high-stakes players.